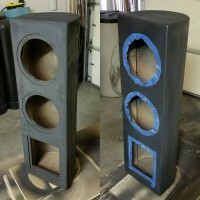 Updating the subwoofer for the small home theater system. 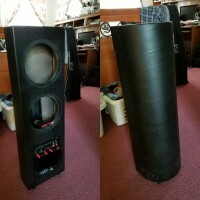 Good bass for a small home theater with something other than the typical cube subwoofer in the corner. 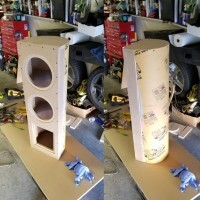 Two 8″ woofers in 1.2 cubic ft. ported enclosure tuned to 35Hz. 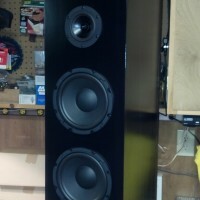 Rear firing woofers, down firing port. 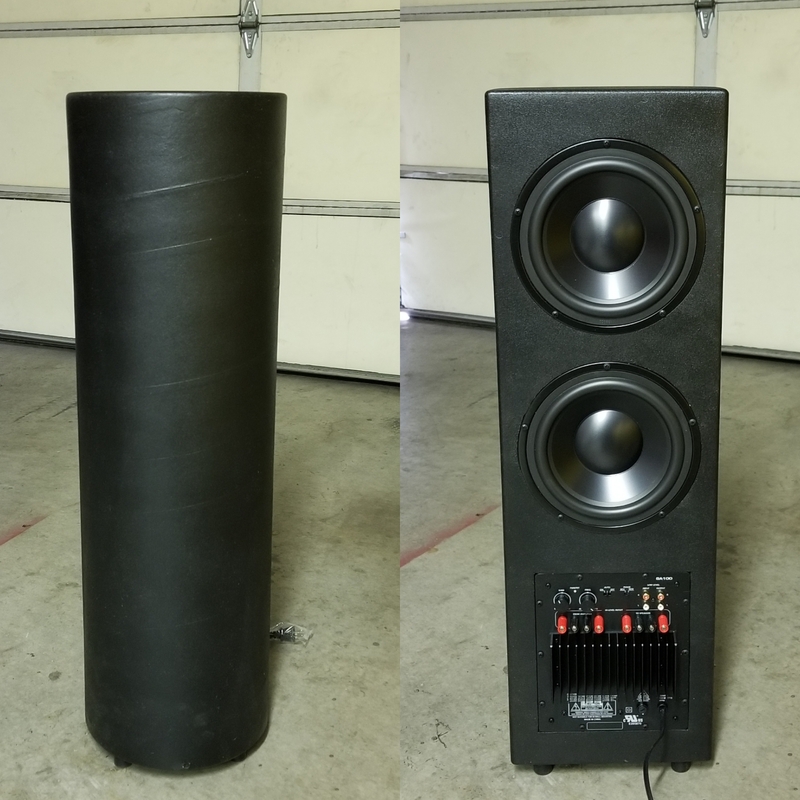 .75″ MDF, 10″ diameter Sonotube, 4″i.d. 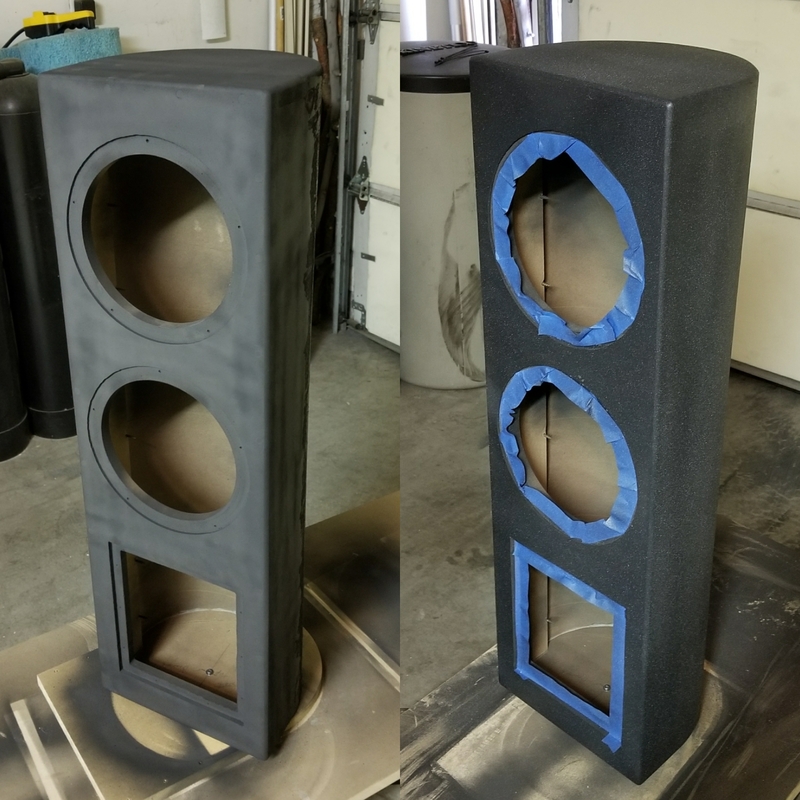 ABS tube, liquid nail, poly fill, primer, texture, paint. LFE output from receiver and crossover in SA100. 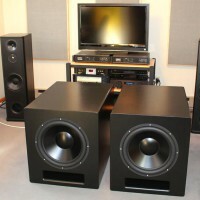 Good bass, matches with room gain, great dynamic response. Aesthetically blends with room. Went to school for audio engineering 25+years ago. Still like to do projects when the opportunity arises. 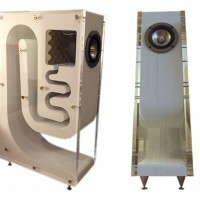 It fills in the lower frequencies without getting bass heavy or muddy, yet is still very dynamic and explosive when needed. Playing Bassgasm by Techmaster PEB this was skaking pictures on the wall in the stairwell. 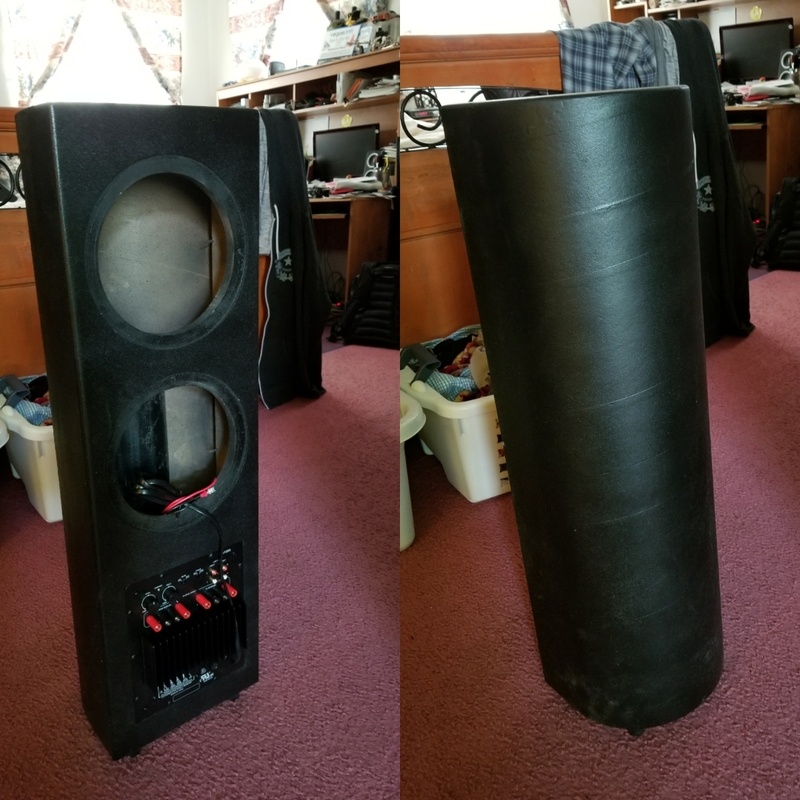 This reminds me somewhat of my 30 year old HSU SW10s.The Sonotube makes a great enclosure and the SAF (Spouse Acceptance Factor) was very high,since they make good lamp stands. 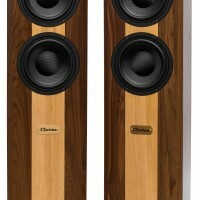 But that’s not why I like them…they produce that “air shaking all around you” effect; that’s why I like them. Really like your design. 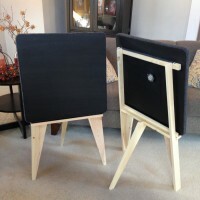 I have a theater is similar in size and I am looking for diy designs…care to share yours? Adrian, thanks. 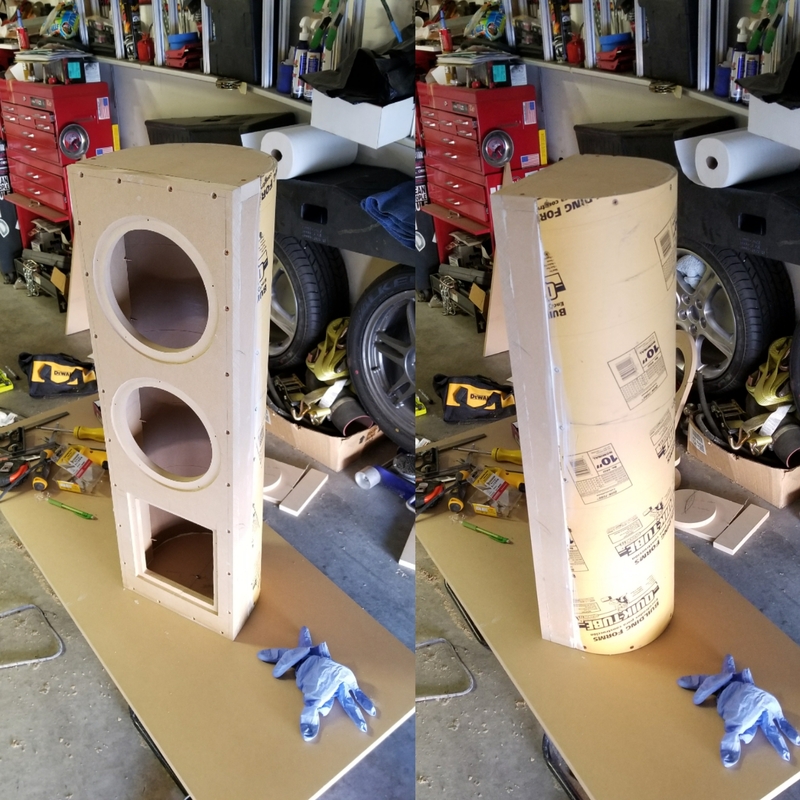 I modeled and tuned the enclosure in WinISD. 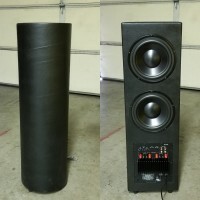 The finished sub is 34″h (w/feet) x 10.25″w x about 9.5″d (not counting connections to amp).